Sophie took a four year degree course in Fine Art and History of Art at Newcastle where she studied film, installation art and religious iconography. She now lives and paints in the mountains of Ibiza. 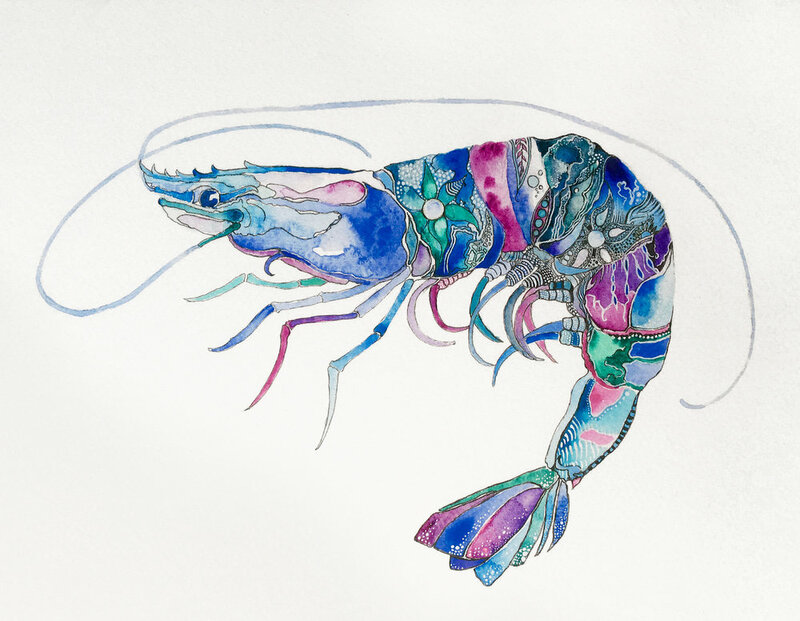 These recent watercolours draw on bold and vibrant interpretations of animal forms. They are intuitive works, executed with the intention of capturing the wonder of life that unfolds as she paints; an extension of her love of nature and ability to express herself in design. As well as being able to order prints online you can also find her pieces in the enchanted La Galeria Elefante in Ibiza. The giclee prints are produced on Fine Art textured Museum heritage paper, 310gsm, in A4 and A3 sizes. Bespoke framing is available upon request and each print has hand detailing in gold. Clicking on each image will allow you to view the full size, print and how to order details.